Thank you for stopping by to celebrate with me! I would like to thank my friend Jodie of Jodie's Touch of Style for nominating me to receive the Sunshine Blogger Award. It is designed to learn a little more about other bloggers. So, let's see how this works. 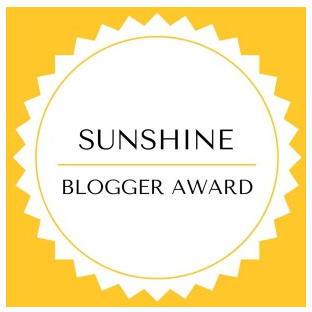 The Sunshine Blogger Award is given from bloggers to fellow bloggers who inspire creativity and positivity by bringing sunshine to the blogging community and to their readerships alike. It is a way of encouraging one another as in saying “Hey, you are doing a great job and we can see it. Keep it up!”. Jodie is such a genuine breath of fresh air that it's been a pleasure getting acquainted with her through her blog posts, plus all of the other activities she finds time to participate in. 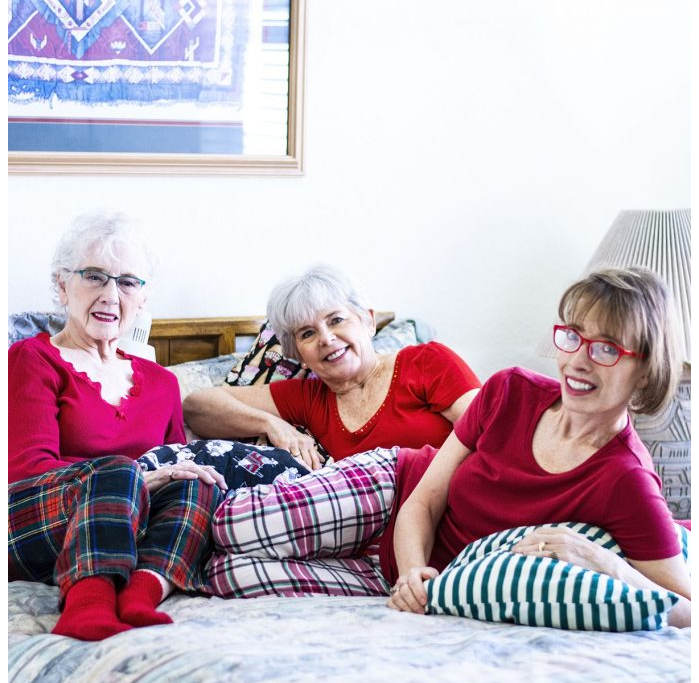 When I first came across her blog, I was completely amazed that there were three decades of women represented and wondered how she could possibly pull it off. 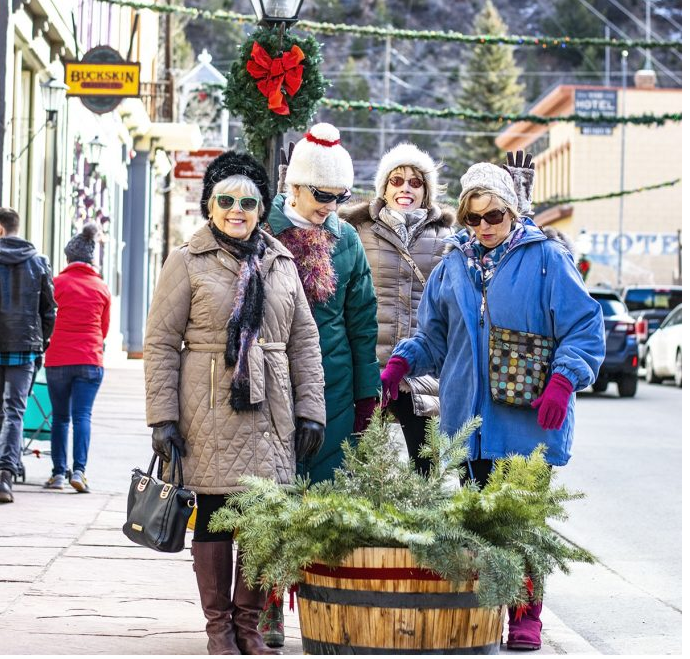 What I've learned is that Jodie has wonderful and fun relationships with her mom and stepmom and they all get along beautifully and dress stylishly, too! One of the things I love about Jodie is she will sometimes share the unfiltered photo shoots, like her puffer coat post below, to keep it real and amusing. I also love that Jodie is an unapologetic thrift shopper. All of the PJ bottoms in her Slumber Party post were thrifted. As part of the award, these are questions that I was asked. This is a way to get to know me and my blog a little better. 1. I’d love to know how your perception of blogging has changed since you started? I had a home style blog from 2009 to 2014 so knew what I was getting into. As far as fashion goes, I don't feel as competitive as I did then, although maybe that's from having matured more. I've found I really enjoy the bloggers who tell their own personal stories along the way, but find that that is very difficult for me. 2. Tips!! I would love to know some of the tips and tricks that you have up your sleeve. The ones that have helped you blogging or even ones that help you balance blogging and your life. Hmm, tips. I've been fashion blogging such a short time that this is a hard one. A couple of things that have helped me, first, when it comes to photos and I've felt stuck, I've actually gone over to a blogger I admire and copied her poses as best I could. Yes, I did. Secondly, and I think this is a big one, find a photo editor you like and work the cr*p out of it. I use Picasa (which is ancient). But, I'm always cropping, tuning, boosting, adjusting saturation and using graduated tint. If I knew how to use my camera better, maybe I wouldn't need to rely on editing as much, but that is a topic for another day! Oh, and I've found I like to take pictures when I'm sitting on or near the ground because they tend to look more relaxed, my body will naturally form angles vs. "trying" and photos taken from above are almost always more flattering. 3. I want to be nosy and ask about your childhood. Where were you born and what did you want to be when you grew up? I was born in a suburb of Detroit. What I wanted to be...? High school trained me well with typing and shorthand to be an administrative assistant and I also earned the CPS (Certified Professional Secretary, now being changed to Certified Administrative Professional) designation. One of my positions was for the controller of the company and he encouraged me to take advanced accounting classes. Which led to putting all of my eggs in one basket and, eventually, getting a BA in Economics with a minor in accounting from the University of Michigan. 4. What’s your favorite social media site and why? It has to be Instagram because it's the only one I really utilize with Fierce Fashion. However, I could really up my game on it. A lot. 5. Tell me your opinions on the best part of blogging and the worst part of blogging. This one is easy. The worst part--coming up with content and I feel like my photography can get stale. The best part--meeting other bloggers. That, and learning new technologies. 6. How do you save money with blogging and clothes? I'm at a point in my life where I'm able to spend more on myself since the kids are out of the house and mostly are paying their own ways (two girls are still in college). However, I've always been frugal and like to shop on eBay and at thrift stores, so it pretty much balances out, for instance, in the top photo, the cabi shirt was purchased full price, the cardigan found at thrift, the cabi jeans on a FB resale site.